Everyone remembers that great television ad where the guy painting the end zone in Kansas City screws up and paints “Chefs” instead of “Chiefs.” I believe the man muttered “great poodily-moodily,” upon discovering his error. 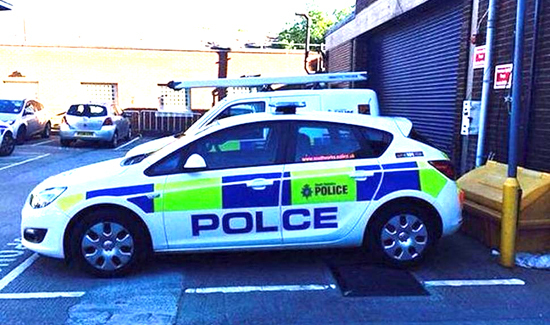 In the UK, though, the whiz kids that painted part of the police fleet recently took it to a whole other level. These guys painted “POLCE” and somehow managed to forget not only to dot the “I” but get rid of it altogether.